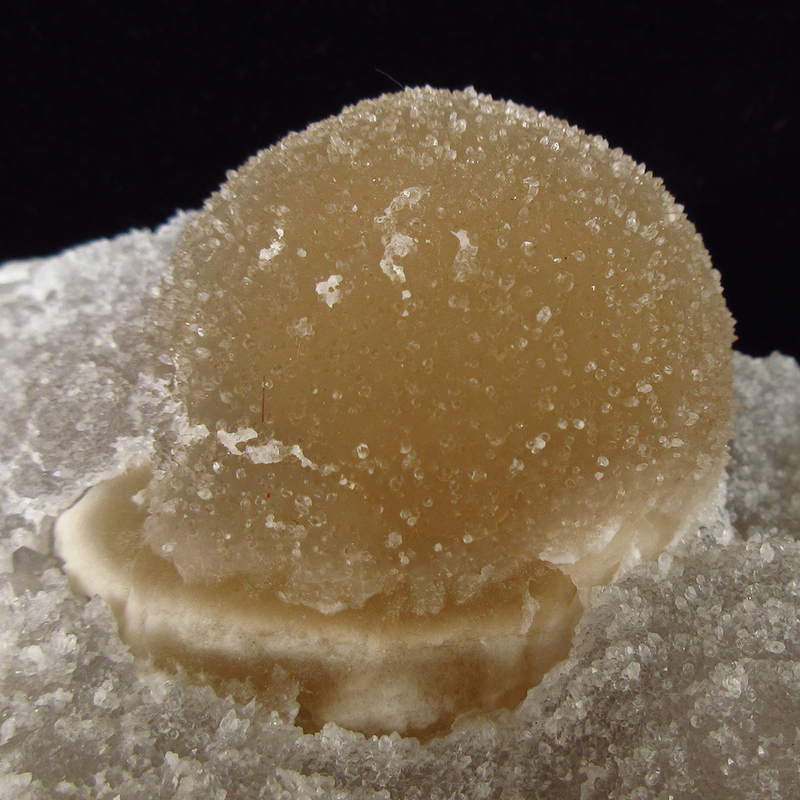 Perfect half round ball of yellow fluorite on quartz matrix. 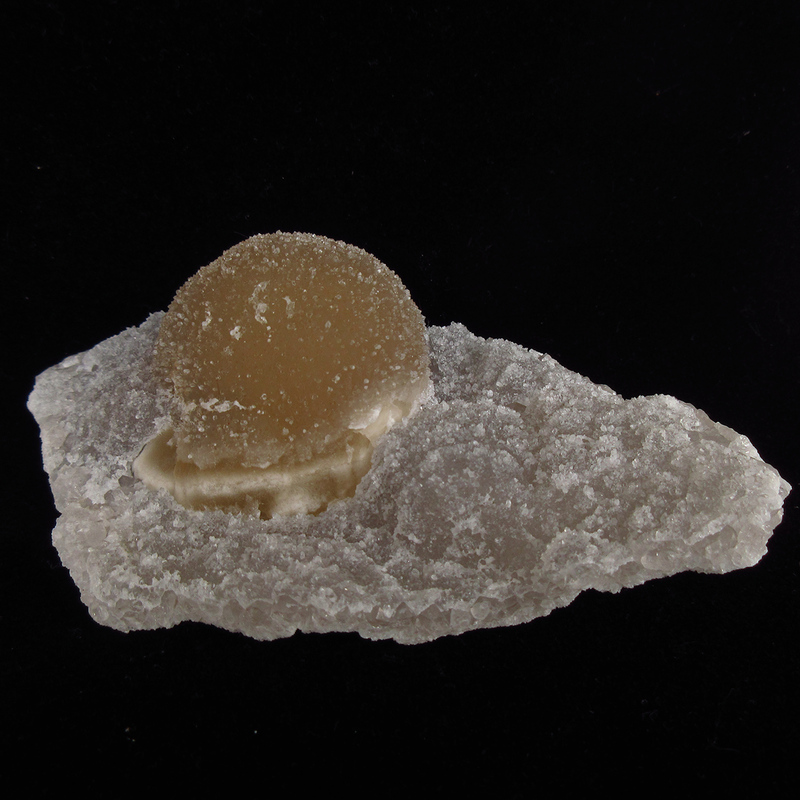 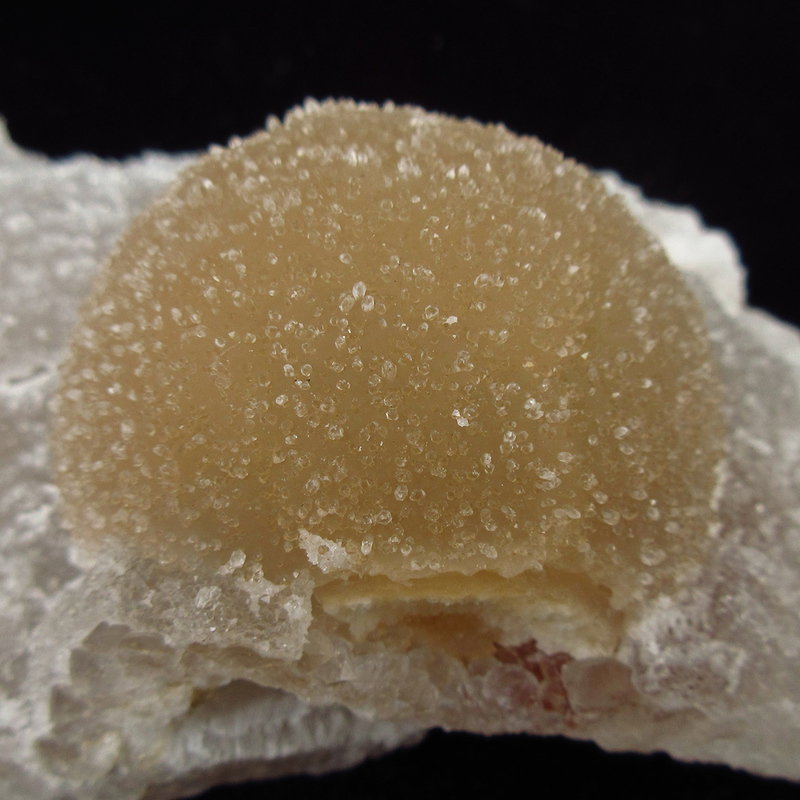 Complete specimen has additional coat of fine quartz including on the surface of fluorite. 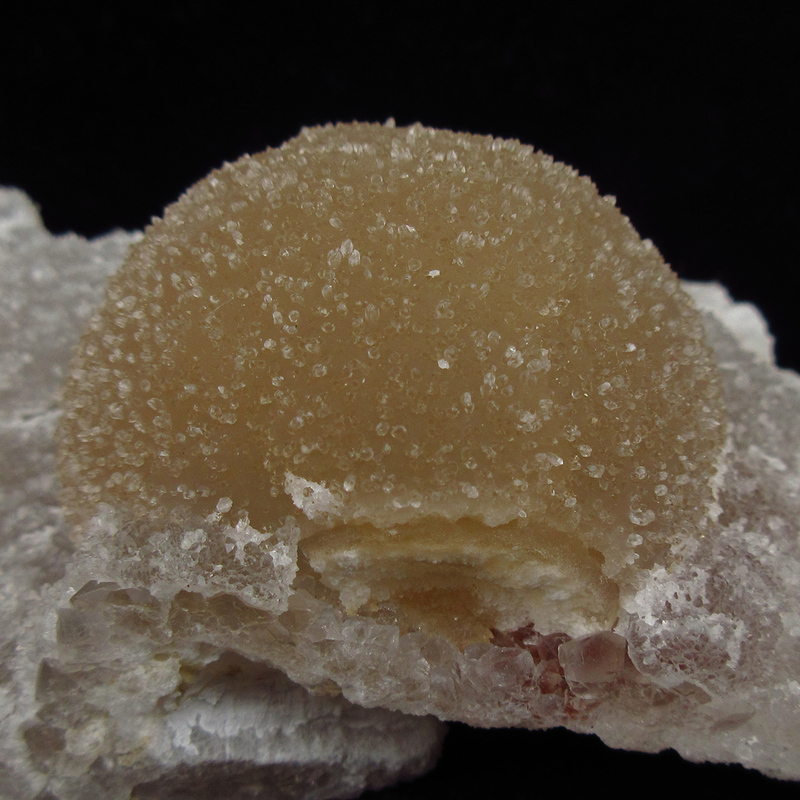 Very unusual and attractive formation.